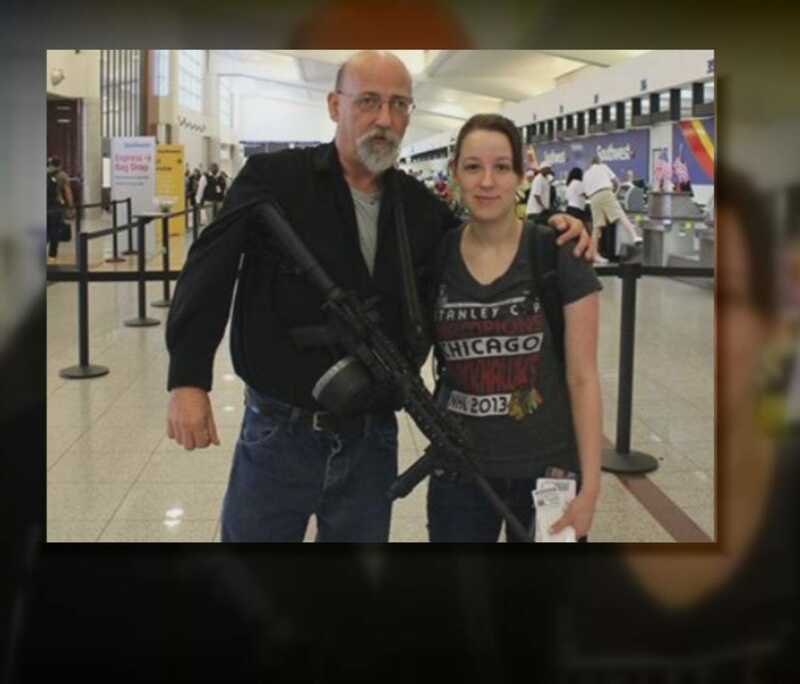 ATLANTA -- Jim Cooley says when he went to drop his daughter off at Atlanta's Hartsfield-Jackson Airport, he did not expect to draw the attention of airport patrons and police. Instead, he says, he just did what has become routine over the past five years: when he leaves the house, he takes his gun. "I carry my gun everywhere I go," Cooley said. "It's important to be armed at all times because you never know when or if something's gonna happen." Cooley told 11Alive's Blayne Alexander that he owns two guns: a 9 millimeter handgun and an AR-15 rifle. For last Thursday's airport trip, Cooley chose to take the latter. "I'm comfortable carrying my AR-15," Cooley said. "Other people might not be. But because it's Georgia law and I'm within my rights, I'm going to exercise them." It is that very Georgia law - the Safe Carry Protection Act- that was the center of such heated debate during last year's legislative session. Since 11Alive first posted Cooley's photo, thousands of people from around the country have weighed in. But many commented less on Cooley himself, and more on the law that authorized him to carry the gun. 11Alive caught up with Gov. Nathan Deal Wednesday to ask about the law he signed nearly one year ago. Gov.Deal said the recent airport incident does not change his support of the bill. He pointed instead to another recent news story: last week's quadruple shooting in Rockdale County, where two were killed at a liquor store. Another customer in the store was armed himself; he shot at the gunman, chasing him away. "The sheriff obviously attributes the fact that this citizen who did have the right to carry probably prevented additional deaths," Deal said. "So just as you have stories on one side of the coin, you have stories on the other side as well." But Atlanta Mayor Kasim Reed, who vocally opposed the law, counts this latest incident as another strike against it. "I thought it was a mistake then, I think it's a mistake now," Mayor Reed said. "It's caused us to have to take additional measures to protect the airport and secure it." In an incident report from the Atlanta Police Department, an officer writes because of the gun's size and how it was carried, they believed there was concern for patrons. The officer added, they followed at a "distance behind" Cooley without "hindering his rights to carry the weapon."